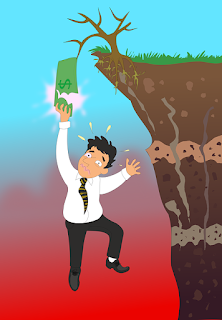 Home Debt Get out of debt Lifestyle Do You Fall Into A Debt Risk Category In Your Life? Do You Fall Into A Debt Risk Category In Your Life? There are certain people in the world who are going to be more at risk of debt or suffering from unmanageable levels of debt that they can’t afford. Reasons for this risk vary from career choices to income levels and even personal situations that are out of their control. However, if you are in these risk groups, you do need to be aware of the danger and ensure you are taking steps to avoid ending up in unmanageable debt. While debt may not be the end of the world, it will almost always set you back a few steps. So, what type of people are more at risk from debt than others? A recent research study suggested that people with a disability are a third more likely to end up in debt compared to someone who does not have any condition affecting them physically or mentally. Why is this? 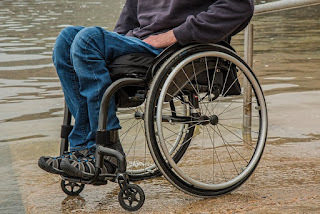 Well, people with disabilities do tend to have more medical bills to contend with, and on top of this, they may, in some cases have to buy more equipment or even remodel their home. This will certainly be the case if they developed a disability later in life. That’s why if your disability was caused by an accident you should always seek compensation with a personal injury lawyer. It could help you deal with the financial implications of your accident and ensure that you are not at risk of debt developing. As well as this, you may want to take into consideration that those with a disability often have difficulty finding work, perhaps due to the stigma they face on a daily basis. The good news is that you can typically still work when you are disabled, and there are lots of jobs you can complete from home. In certain business industries, freelance contracts and limited contracts for employees are becoming increasingly popular. The reason for this is obvious. First, by taking on employees without a contract, employers have fewer responsibilities, and this includes offering workers job incentives. Essentially, it’s just a cheaper way for business owners to run a company and get what they need without the costs involved. However, for the employee, there can be issues. 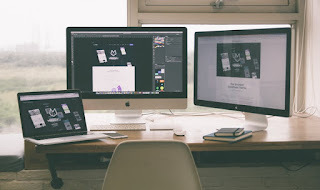 Freelance contracts are often temperamental, and legally, business owners can let employees go with very little notice and no severance package. Essentially, one day you could have a job and the next you might be forced to search for one. Due to this freelancers find it difficult to budget at all. If you are a freelancer, it’s always important to have more than one pan on the stove. You need to make sure you have a backup source of income. Finally, there is the possibility that you are on a limited income. If that’s the case, it’s important to budget effectively. You need to make sure you are watching your spending and keeping a little back each month for emergencies. Do this and you should be able to avoid debt, even when your finances are tight.